VICTORIA, B.C. 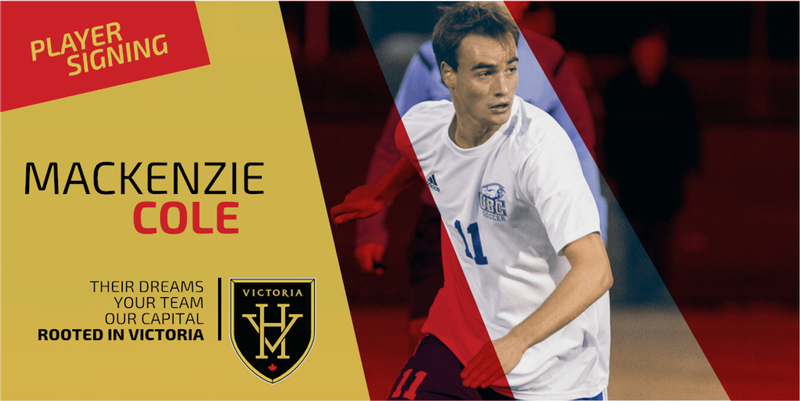 – Victoria Highlanders FC are pleased to announce the re-signing of Mackenzie Cole, pending USL League and BC Soccer approval. Mackenzie Cole, entering his third season with the Highlanders, is the first midfield addition to Thomas Niendorf’s 2019 USL League Two squad. During his youth, Mackenzie Cole played soccer with Gorge FC before joining the VI Wave program at the U-12 level. Cole was a part of the Highlanders prospects before moving to the University of British Columbia Thunderbirds, where he just finished his third season. The midfielder is coming off his second-straight Canada West title with the Thunderbirds – alongside fellow Highlander Victory Shumbusho – after capping of the season with three goals and two assists over 18 matches and eight starts. Cole is returning for his third year with the Highlanders, and in those three seasons the Glenlyon Norfolk grad has appeared in 13 games with the black and gold. The 2018 campaign saw him finish with one goal and one assist in nine matches played. His familiarity with the organization is just a piece of what the Victoria native brings to the team.